We have a comprehensive programme management service with a full range of functions that can be combined to meet a customer’s individual needs regardless of size or complexity. Our aim is to develop a collaborative partnership with the flexibility to define the type and extent of service required. Each project is placed under the care of a Programme Manager who is the primary contact for customers. The Programme Manager can also enable direct communication with study directors and other study scientists. This single point of contact means that entire programmes can be expertly co-ordinated, including external phases conducted at third-party facilities. Our Programme Managers have ready access to all of the scientific resources within the company, including internationally acknowledged experts who can assist in the resolution of scientific, technical and regulatory issues. They have many years of experience in the industry and have proven skills in the management of complex multi-disciplinary and multi-location programmes. They are fully supported by an infrastructure designed to ensure good communication and an effective team-based approach. 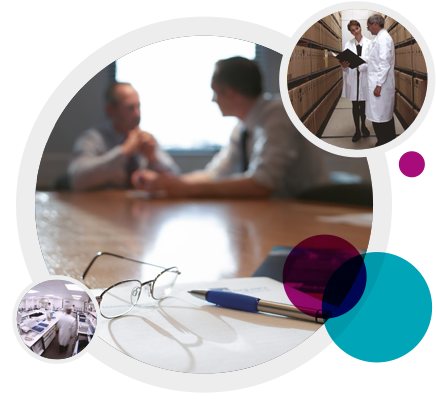 Our aim is to provide a comprehensive, responsive and professional service without equal in the contract research industry. We aim to become an extension to our client’s own project team, providing the following services. Periodic involvement in/presentation to Customer Project Team meetings.